Yes, it is important to track your ROI (return on investment and now also known as return on influence). Yes, Facebook provides interesting analytical data for business owners inside of the Facebook site and there isn’t anything coming directly from Twitter to show statistics yet. However, just because Twitter doesn’t include an analytics package service on the site, doesn’t mean there is no way to see data about your twitter profile and how many people are following you. Just as there are numerous developers creating applications for use on Facebook, there are also numbers developers building tools that work off the Twiiter API. For example, you can track how many people followed any link you posted on Twitter through services like http://tr.im and http://bit.ly. There are ways to see where your followers are tweeting from, tools to track demographics, how quickly people grew their followers and thousands more. Granted, it takes a twitter-nut to find all of the relevant tracking tools, but saying there aren’t any is incorrect. Sysomos, for example offers a wide range of analytics on social media. It’s not free, but there are plenty of others if you have the time to try them out. 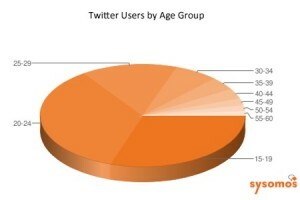 Do Teens Really Not Use Twitter? As Chris Brogan says, the first one there wins the game, but what if the game isn’t whether to use Facebook or Twitter? What if you really need to participate on both? A recent post called 5 Reasons why Facebook is better than Twitter for your business, William Smith of the Internet Marketing Examiner describes why he believes Facebook is better for small to medium sized businesses. In the next five posts I will provide my thoughts on this. Smith argues that Facebook’s community (122 million) is much larger than Twitter’s (22 million), implying therefore that as a business owner you have a bigger reach on Facebook. Yes, most Facebook user’s have about 200 friends, but what are they talking about and what are they interested in? IMHO most of the activity on Facebook is social. People are there to relax and have fun. It’s like a birthday party where you know all the people you invited and you feel comfortable talking about random thing with them. They are not there to do business or be thinking about their favorite brand. They are there, yes, but if they are not talking with your company or on your company’s fan page, are they really beneficial to your business. If you are advertising, then you can certainly target Facebook users well, but FB’ers are still resistant to ads and click through rates are low. Social media is about being social, not about messaging and targeting. On Twitter on the other hand, it is easy to find the people who are talking about your brand and start conversations with them. Conversations start relationships and on Twitter it’s not just conversations between friends (as it is on Facebook), it’s conversations that are happening in public about your brand. It is easy to listen to the conversation and start participating by just following any mentions of your brand. Just enter your company name or any brand or topic into Twitter’s Search Tool and you’ll see what people are saying about it on Twitter. It’s like Google, but for a view at what the twitterverse is saying about your brand. Going back to the party analogy, Twitter is more like a business cocktail party than a birthday party, because you are there to meet people, share a little information and chat with people who seem interesting to you. It’s about networking for business, not just reconnecting as friends. Yes Compete shows more unique visitors to Facebook than Twitter, but look at the Compete Ranking growth of Twitter. 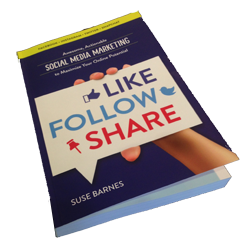 Because it is a little more technical, a little more intelligent, a little less fun maybe, and more business oriented, it is slower to take off, but growing rapidly and the uses for business are inherent instead of add-ons as they are on Facebook. As for Facebook not making mainstream news as much as Twitter, the reason is because Facebook is a closed network and twitter is a public timeline. How many times recently have you heard about breaking news that was first reported on Twitter? Why? What do you have with you at all times? That’s right, your cell phone, and posting a quick news update to your favorite mobile twitter service is quick, easy and has the potential to reach a lot more people more quickly than on Facebook, because people build followings of not just friends who may be interested in a number of different things, but followers who are in the same niche market as the tweeter. Twitter is still an infant and Facebook is a teenager. I think we’ll see steady growth in the number of Twitter users and Facebook is already starting to plateau. Tomorrow we’ll look at Analytics on Facebook versus Twitter.